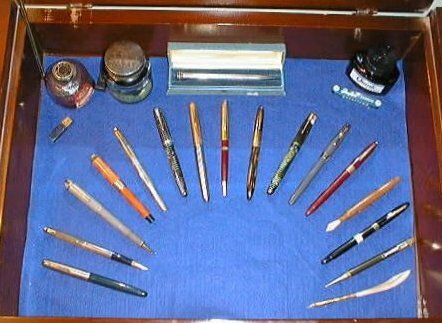 This site documents my pen collection, both old and new, with an emphasis on the Parker brand. NOTE: Most of these pens are for identification purposes only (not for sale). Only the items marked with a BUY button are for sale.